Don't throw the mascara out with the bath water! — Simple.Savvy.Self. When a component of your business includes education and sales for a progressive beauty company with a mission to get safer products into the hands of everyone, the women in your life MAY avoid chatting with you because they're afraid you're going to tell them EVERYTHING is harmful. Most often, women are afraid to hear this information because, in addition to being totally freaked out, they'll have to spend lots of time and money to find replacements for their favorite products, which, by the way, they are already convinced, will NEVER work as well as the ones you just "ruined for them!" And if it sounds like I'm speaking from experience, well, I am. And I'm here to tell you, ladies, I come in rose-colored and rejuvenating peace. So here's the deal: If you're interested in cleaning up your beauty routine, you don't need to throw the mascara out with the bath water and start from scratch. 1. First consider what do you wear most often? If you're only wearing lipstick or eye shadow on a rare occasion, don't sweat it. Will you eventually want to choose safer products down the line when you go to replace those? Sure. But if you're just starting out, forgetaboutit! 2. Our skin is our largest organ so what we put on it gets absorbed. Think about those products you use regularly that are getting absorbed into your skin. Whether that's a moisturizer (face and body), a foundation or bb cream, or an under-eye cream, etc, these are the types of products you want to give some attention to and consider replacing from the start with safer, high performing options. With limited funds, I would always advise a client to invest in a better moisturizer over face wash, for instance, because although you may be using that face wash on a regular basis, you're washing it off. Prioritize replacing products that are getting absorbed. 3. Avoid synthetic fragrance (like. the. plague ;) and choose products that use essential oils instead. Synthetic fragrances are often a blend of various chemical compounds, many of which are common allergens or have links to hormone disruption. In addition, most fragrance formulations are considered a trade secret so companies aren't required to disclose the list of ingredients -- so the formulation could contain three (3) chemicals or it could contain 20, who knows?! And THAT, is cause for real concern. 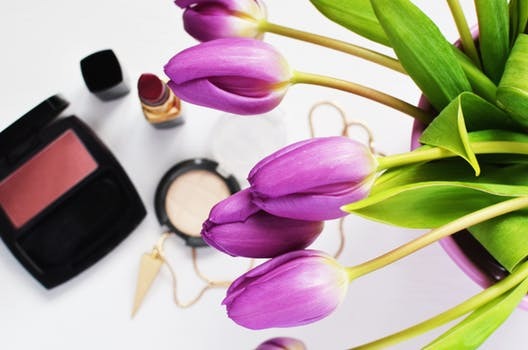 And there you have it, a few #simplesavvy tips to jump start "spring cleaning" beauty routine.